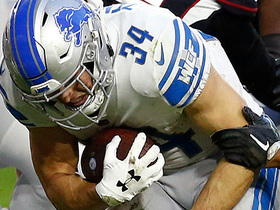 Analysis: Zenner's strong finish in 2018 could put him second in line for carries behind Kerryon Johnson, though it's still too early in the offseason to project the 27-year-old's role with much certainty. Zenner took 51 carries for 237 yards (4.6 average) and three touchdowns over the final four weeks of the 2018 campaign, plus he maintained a key role on special teams even after his involvement on offense skyrocketed. 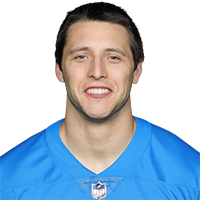 Zenner's strong finish to the 2018 season likely strengthened his position with the Lions, Mike O'Hara of the team's official site reports. Analysis: This is an understatement considering Zenner turned out to be everything head coach Matt Patricia could really ask for in a backup running back -- an effective runner (4.8 YPC on 55 attempts) whose ability on special teams can allow for more roster flexibility on gamedays. The question now is where Zenner will sign this offseason once he becomes an unrestricted free agent in March. Given the promise he showed down the stretch, it's possible Zenner will have a number of suitors for his services. Zenner rushed for 93 yards and one touchdown on 21 carries, adding a 30-yard reception during Sunday's 31-0 win against the Packers. Zenner rushed eight times for 45 yards and added two catches for 22 yards on three targets in Sunday's 27-9 loss to Minnesota. Analysis: Zenner was easily Detroit's best option on the ground, as LeGarrette Blount (calf) was held to 29 yards on 11 carries. It's a bit puzzling why a beat-up Blount got more work than Zenner, but odd coaching decisions are nothing new to Lions fans. Zenner should push for double-digit touches against the Packers in Week 17. 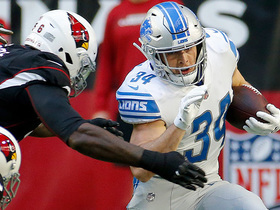 With Kerryon Johnson (knee) on injured reserve and LeGarrette Blount (calf) listed as questionable, Zenner and Theo Riddick are the Lions' only healthy running backs heading into Sunday's game against Minnesota, Kyle Meinke of MLive.com reports. Zenner could retain a steady role on offense for the Lions' final two games of the season after Kerryon Johnson (knee) was placed on injured reserve Wednesday, Dave Birkett of the Detroit Free Press reports. Zenner rushed 10 times for 45 yards and a touchdown in Sunday's 14-13 loss to Buffalo, adding three catches for no gain on four targets. 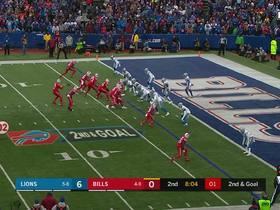 Analysis: Zenner had a short touchdown overturned by replay in the second quarter, only to find the end zone from one yard out on the very next play. Receiving back Theo Riddick surprisingly led the team in rushing with 47 yard on eight carries while LeGarrette Blount managed just nine yards on seven carries. The trio appears primed to split work in a similar fashion against the Vikings in Week 16, barring the return of Kerryon Johnson (knee). Zenner rushed 12 times for 54 yards and one touchdown during Sunday's 17-3 victory over Arizona. Analysis: While he wasn't targeted in the passing game, Zenner was easily Detroit's most effective option in the run game. He ultimately gained nearly 20 more yards than LeGarrette Blount despite seeing the same number of carries. Zenner caught 18 balls for 196 yards for the Lions in 2016, so he has the capability to contribute in the passing game if he continues to see this kind of playing time, but that opportunity may not come if Kerryon Johnson (knee) is able to return to the lineup this week. Zenner recorded seven rushing yards on one carry during Sunday's 30-16 loss to the Rams. Analysis: In Kerryon Johnson's (knee) continued absence, LeGarrette Blount (16 carries) and Theo Riddick (eight) once again dominated the available carries. It's clear the Lions don't view the South Dakota State product as anything more than a serviceable backup who will make his biggest impact on special teams. Zenner rushed twice for nine yards and secured his only target for a four-yard reception during Thursday's loss to the Bears. Analysis: There seemed to be a chance Zenner would have a significant role in the offense with Kerryon Johnson (knee) sidelined, but LeGarrette Blount ended up dominating the snaps on early downs. If Johnson is able to make it back for Week 13, Zenner stands to see an even lighter workload. Zenner could be part of a backfield committee Thursday against the Bears, Michael Rothstein of ESPN.com reports. 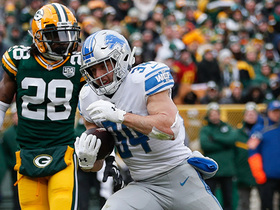 Analysis: With Kerryon Johnson (knee) set to miss at least one game, the Lions are left with Zenner, LeGarrette Blount and Theo Riddick in the backfield. Blount and Riddick are the safe bets to handle significant roles, though neither has offered much on the ground this season. Zenner owns a career average of just 3.6 yards per carry and has mostly played special teams since 2016. Zenner didn't touch the ball during Sunday's 20-19 win over the Panthers. Analysis: Zenner was contained to special teams in this one, but it's possible he could be needed on offense more often going forward if Kerryon Johnson's knee injury forces the rookie to miss time. However, Zenner still wouldn't be an advisable fantasy option in Week 12 against the Bears' stout defense. Zenner rushed once for 12 yards during Sunday's 34-22 loss to the Bears. Analysis: While most of Zenner's action came on special teams, he nonetheless made a mark on offense, considering the 12 yards he gained on a draw play marked the Lions' longest run of the game. However, it's unlikely Zenner's role will grow as long as Kerryon Johnson, LeGarrette Blount and Theo Riddick are healthy. As a result, the South Dakota State product is nowhere near the fantasy radar as Detroit enters a Week 11 home game against Carolina. Zenner agreed to a deal with the Lions on Tuesday. Analysis: Zenner was waived from injured reserve by the Lions in September, but now seemingly fully healthy, rejoins his former squad. In three years with the Lions, Zenner rushed 119 times for 420 yards and five touchdowns. The 27-year-old won't likely see the field much, as he's expected to be buried on the depth chart behind Kerryon Johnson, LeGarrette Blount and Theo Riddick. Zenner (back) was waived from injured reserve Wednesday. Analysis: Zenner was placed on IR after injuring his back in the Lions' preseason finale. While it isn't clear where he currently stands health-wise, the running back is a versatile special-teams contributor who stands to have a solid chance of being claimed off waivers. If not, Zenner shouldn't have much trouble landing a new deal before long. Zenner (back) was placed on injured reserve Saturday, Tim Twentyman of the Lions' official site reports. Analysis: Zenner injured his back during the Lions' preseason finale against the Browns and will miss the 2018 season as a result. The Lions kept four additional running backs on their 53-man roster in LeGarrette Blount, Kerryon Johnson, Theo Riddick and Ameer Abdullah. Zenner (back) has been ruled out of Thursday's preseason game versus the Browns, Justin Rogers of The Detroit News reports. Analysis: With a roster spot on the line, Zenner was knocked from the contest due to a back injury, finishing exhibition season with nine carries for 16 yards and one reception for 11 yards. Thursday's development may have been enough to determine his fate in his competition with Ameer Abdullah and Dwayne Washington (undisclosed). Zenner is questionable to return to Thursday's preseason game against the Browns due to a back injury, Kyle Meinke of MLive.com reports. Analysis: Zenner is firmly on the roster bubble along with fellow Lions running backs Ameer Abdullah and Dwayne Washington (undisclosed). Through three exhibitions, Zenner boasted a dismal 17 yards on eight carries (2.1 per) and one 11-yard catch. Before picking up the injury Thursday, he didn't help his cause, taking one rush for minus-one yard and failing to haul in his only target. With perhaps one opening on the line, he'll play the waiting game until Saturday's 4:00 p.m. 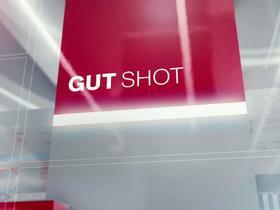 ET cut-down date. Zenner is signing a contract to stay in Detroit, where he figures to compete for the No. 4 running back job, Dave Birkett of the Detroit Free Press reports. Zenner didn't receive a contract tender from the Lions, Michael Rothstein of ESPN reports. Zenner rushed 14 times for 26 yards and one touchdown over eight games during the 2017 season. Zenner (coach's decision) is inactive for Sunday's Week 17 tilt against the Packers. Analysis: Zenner will thus finish off the 2017 campaign last having seen action in Week 14. 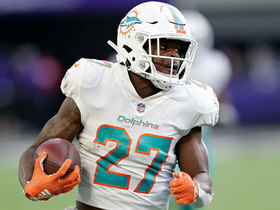 The short-yardage specialist carried just 14 times overall in what was his third NFL season, while failing to record a single reception for the first time in his career. With the Lions' coaching regime potentially on the move following a disappointing season, Zenner's future remains cloudy for the moment. Zenner (coach's decision) is inactive for Sunday's Week 16 tilt against the Bengals. Analysis: The third-year back will thus be a healthy scratch for the second consecutive week, as Ameer Abdullah, Theo Riddick and Tion Green will once again helm the Lions backfield. Zenner has seen action in only eight games this season and primarily has been limited to short-yardage and goal-line work, as evidenced by his scant 14 carries for 26 yards and one touchdown on the campaign. Zenner (coach's decision) is inactive for Saturday's game against the Bears. Analysis: With Ameer Abdullah sidelined the last two games, Zenner was rarely used, instead ceding snaps to Tion Green behind starter Theo Riddick. The Lions have deemed Abdullah healthy enough to return Saturday, leaving Zenner on the outside looking in for the time being. Zenner carried twice for zero yards during Sunday's 24-21 victory over the Buccaneers. Analysis: Ameer Abdullah (neck) remained sidelined a second consecutive week, but Zenner remained quiet. Theo Riddick paced the team with 10 carries while Tion Green received five. 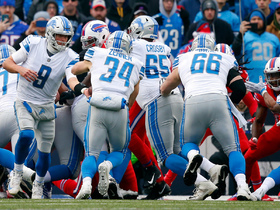 No tailback on the Lions was particularly effective, however. Regardless, there's zero indication that Zenner will see an increased workload going forward regardless of Abdullah's availability. Zenner rushed one time for four yards during Sunday's 44-20 loss to the Ravens. Analysis: If there was ever going to be an instance when Zenner might take on a significant workload, Sunday was it, since both Ameer Abdullah (neck) and Dwayne Washington (coach's decision) were out of the lineup. However, undrafted rookie Tion Green ended up pacing the team with 11 carries while Theo Riddick received nine. As such, it's clear the Lions don't view Zenner as anything more than a situational role player who can help out on special teams. Zenner should act as the direct backup to Theo Riddick on Sunday in Baltimore due to the absences of Ameer Abdullah (neck) and Dwayne Washington (coach's decision), Tim Twentyman of the Lions' official site reports. 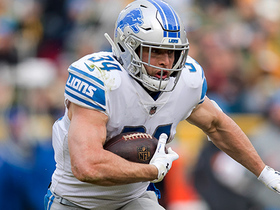 Analysis: Held out due to a neck injury, Abdullah will yield the initial reps at running back to Theo Riddick, but the surprise DNP of Washington makes Zenner the clear secondary option in the ground game. On the year, Zenner has only earned 11 carries in his six appearances. That said, he received 15 red-zone runs in 14 games in 2016, so short-yardage reps could yield fruit for the third-year pro. Zenner rushed once for six yards during Thursday's 30-23 loss to the Vikings. Analysis: Zenner was only active due to Dwayne Washington's (hip) absence. Even when he does suit up, Zenner doesn't get many opportunities. Detroit Lions Zach Zenner powers through the goal line for the touchdown. 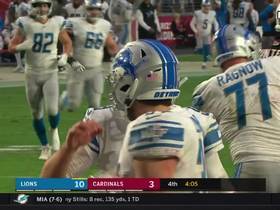 Detroit Lions running back Zach Zenner motors into the end zone for a 1-yard touchdown. Detroit Lions running back Zach Zenner shows great strength and speed as he breaks tackles on a 14-yard run. 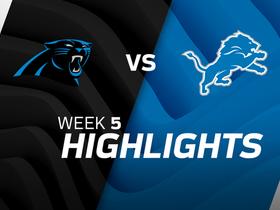 The Carolina Panthers get three touchdown passes from quarterback Cam Newton and pressure the Detroit Lions all day in a 27-24 road victory.